FAST UP FAST DOWN PIQUE IS THE VERSATILE XC TRAIL BIKE WITH AN AFFINITY FOR SPEED. Gone are the days when you need to choose a bike based on whether you want to go fast uphill or downhill. With Liv’s 3F Design Philosophy you get a lightweight frame design with souped-up power transfer for serious climbing performance. Paired with 120-mm trunnion-mounted Maestro suspension and a 140-mm fork Pique SX offers unrivaled descending performance. 27.5-inch wheels ensure bike handling is still nimble and playful while maintaining the stable cornering and bump-reducing qualities of a larger wheel size. Liv’s 3F Design Philosophy lets us create bikes that are specifically designed for female riders and meet the demands of cross-country and trail riding. 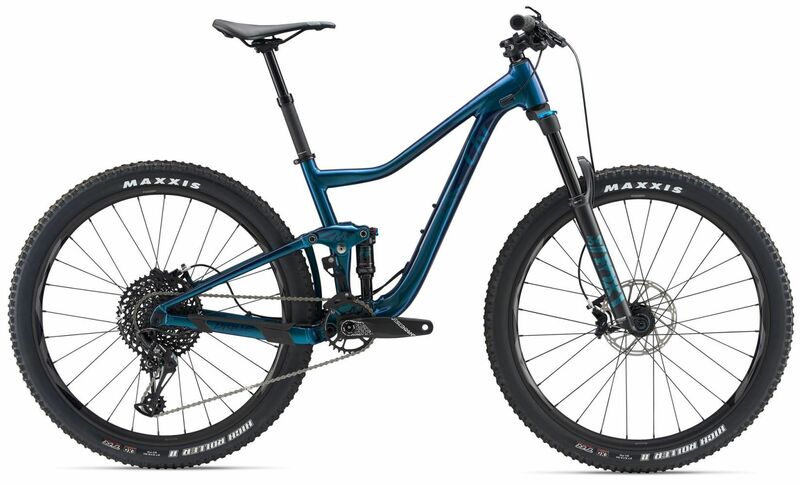 Pique excels as a talented XC racing or trail bike with high-end Maestro suspension and updates including slacker head tube angle and 140 mm fork for more downhill capability. Lightweight ALUXX-SL frame plus 27.5-inch wheel size with Boost hub spacing for control over the trail elements. Fit Form and Function is Liv’s 3F Design recipe for a perfect women’s design featuring refined suspension tunes and the right amount of frame stiffness and maneuverability. The Pique SX now slackens the head angle with its 140 mm fork option. With the new more relaxed frame geometry and longer fork travel compared to the Pique you’ll feel confident to rip down hills with extra travel up front and tackle climbs with equal gusto. Agile light and capable the Pique SX will have you negotiating rocky rooty sections uphill and downhill with ease. 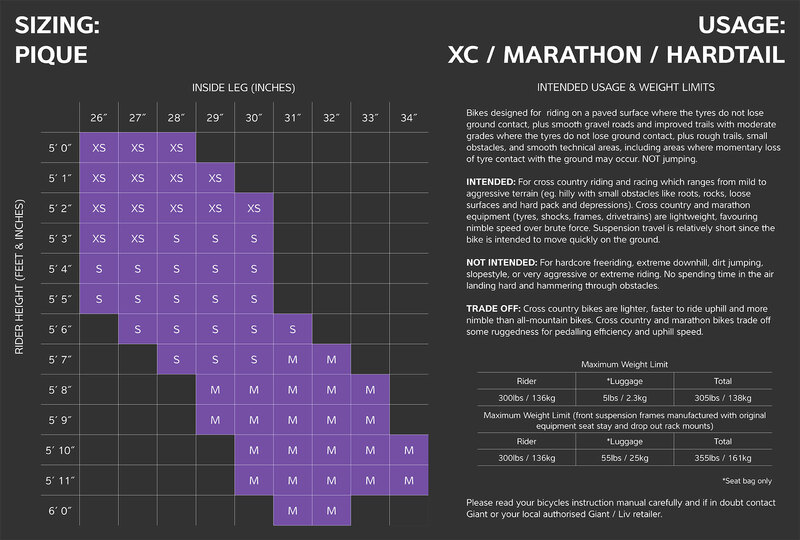 Please see below for delivery options for Giant Liv Pique Sx 2 Womens Mountain Bike 2019.